Trit trot, meet the new kids on the block! Trit trot, trit trot… look who’s arrived at Hoe Grange Holidays now! 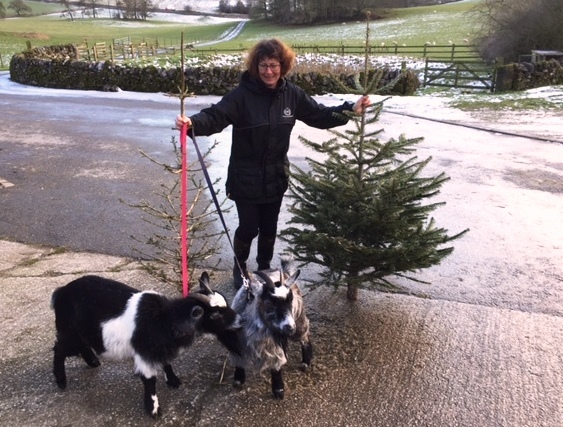 Back in January we introduced you to our friendly Pygmy goats, Dora and Luna. 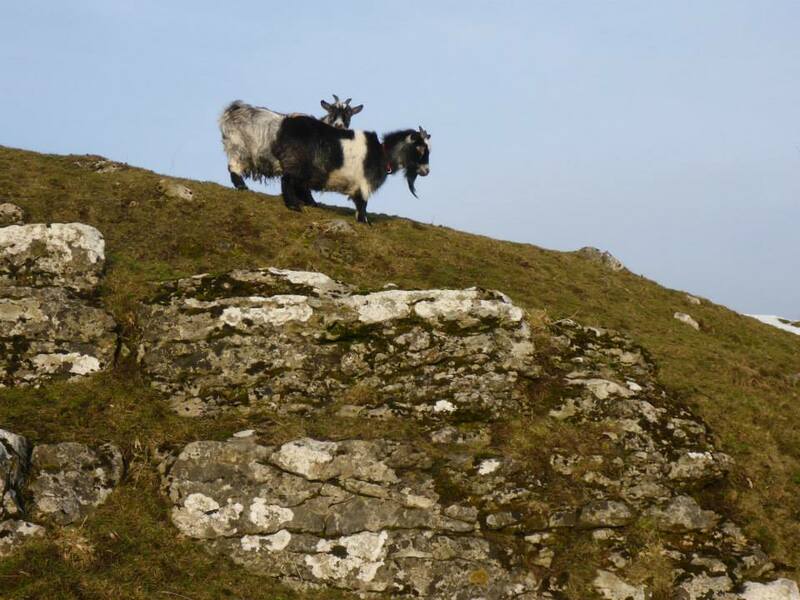 Recently our little goat herd has expanded somewhat as these two lovely ladies have both had kids. Meet Luna’s adorable twins, Nutmeg and Saffron, and Dora’s cute kid Looby Lou. 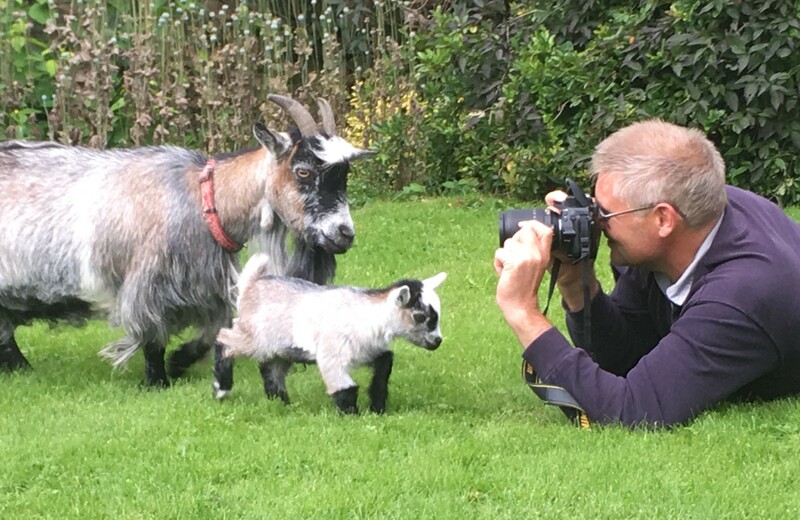 Here at Hoe Grange we are used to the arrival of lambs, but the kid goats were so much smaller when they were born that we were truly amazed and smitten – these cuddly kids have definitely stolen the “cute factor” from our Jack Russel dog Fudge! Lambs are up on their feet fairly swiftly after being born, but these baby goats were instantly trying their hardest to stand and within minutes were staggering onto their feet. 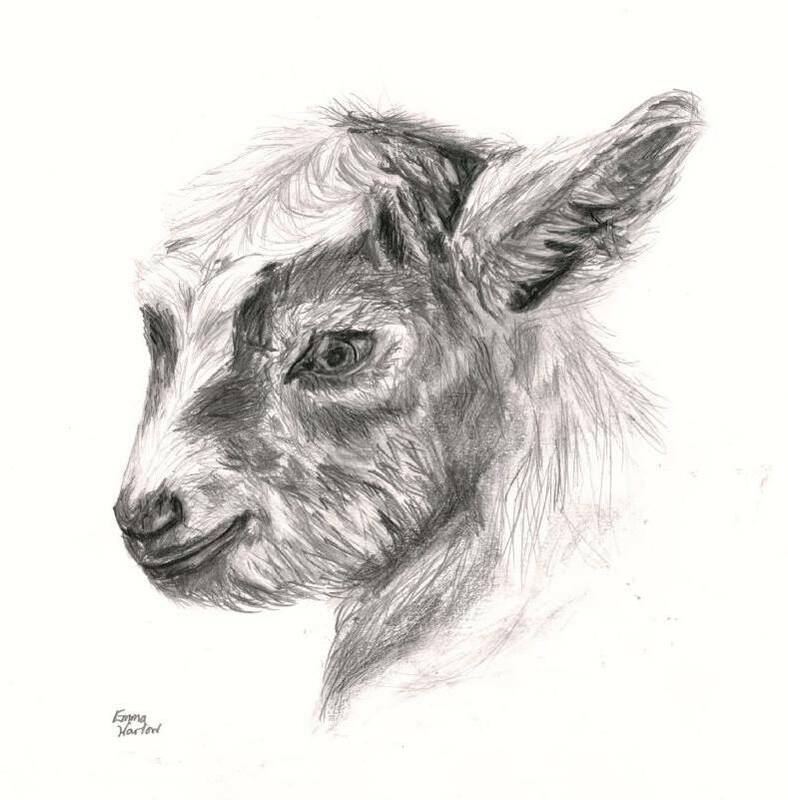 One of our holiday guests was so captivated by the new arrival that she sketched this fantastic pencil drawing of Looby Lou when she was just 24 hours old! Emma had never drawn a goat before, but as you can see she is very talented. Emma Warlow creates pet portraits, so if you want to see more of her amazing dog and horse pictures and paintings check out her Instagram @ebmw_artist. 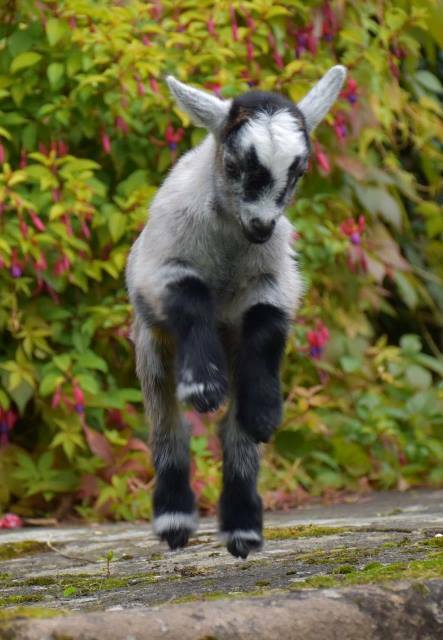 Now that the kids are 2 and 3 weeks old they are very entertaining as they don’t just gambol about like lambs, but positively spring and leap from all four feet like Tigger in Winnie The Pooh! 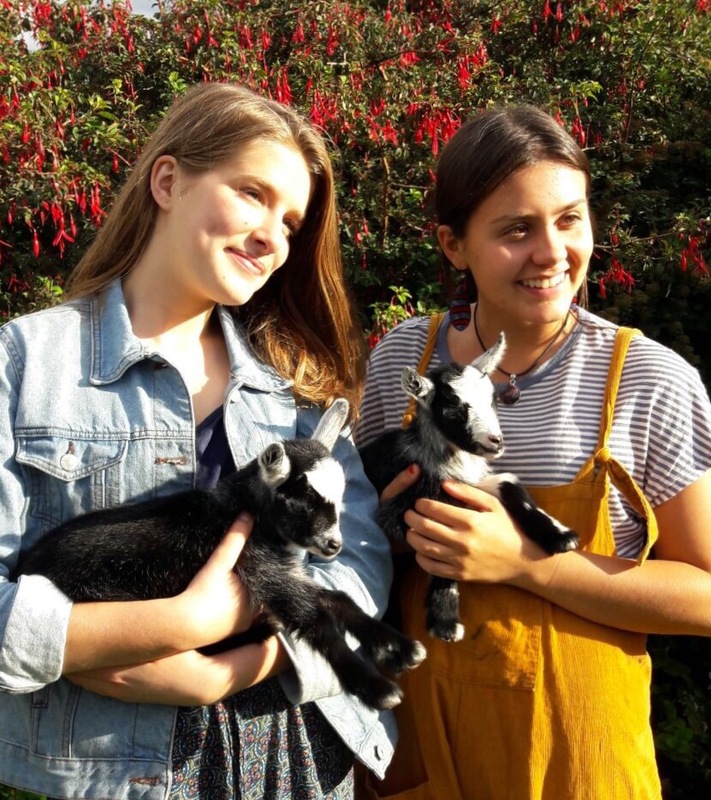 These adorable baby kid goats have already proved popular with guests and love nothing better than a cuddle! 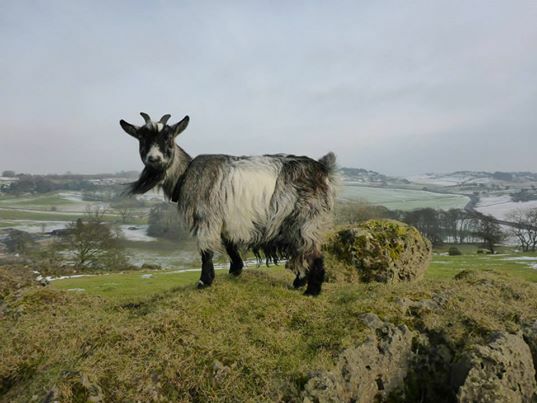 In the wild Pygmy goats prefer leaves to grass which is why we have no begonias left! 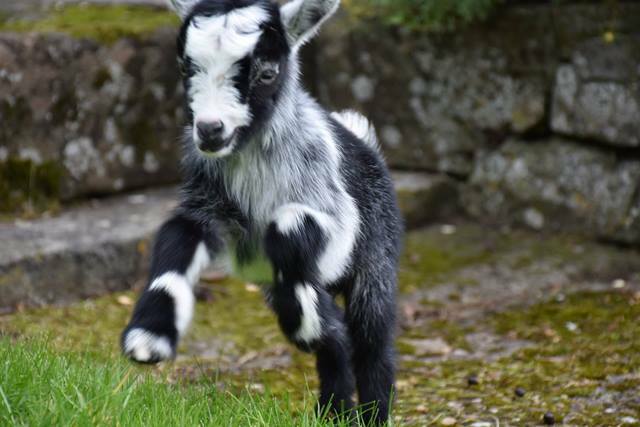 Although Pygmy goats are small they produce quite a lot of milk, which is why our babies are growing so fast and have oodles of energy! Goats milk is naturally homogenized and is therefore more easily digested than cows milk. If threatened they stand up on their hind legs to make themselves appear bigger before bowing down and head butting the approaching enemy – which in our case is Fudge the Jack Russel. They have a lifespan of 10-15 years, so will be with us for quite sometime! Their horns start growing as soon as they are born – amazingly our little cuties already have tiny stumps at just 2 weeks old. 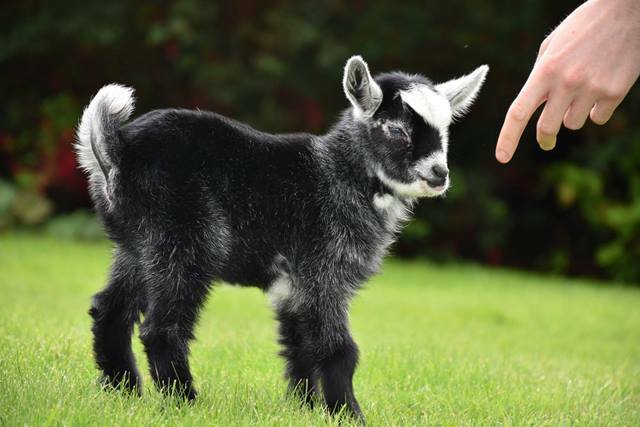 A baby female is called a Doeling until it is a year old. Did you know goats can climb trees? At just 2 weeks old our kids are already jumping up the stone steps in the garden. Research shows that goats can change their accents when they move group or grow up. The only other mammals that do this are Dolphins, Elephants and of course Humans. 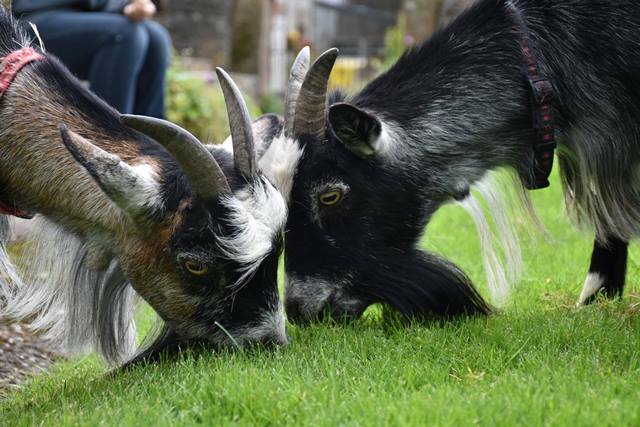 No kidding our doelings are the cutest things you could ever see – why not stay at Hoe Grange and meet them?